Parents are always looking for things they can purchase for their children. The typical thing purchased is books, but what if you want projects that your children can do and show off! Do you know where to look? Do you know if a certain company has a large variety of projects for varying ages? How much does it cost? Well, your worries are over. We are going to tell you about an amazing company called KIWI CRATE. 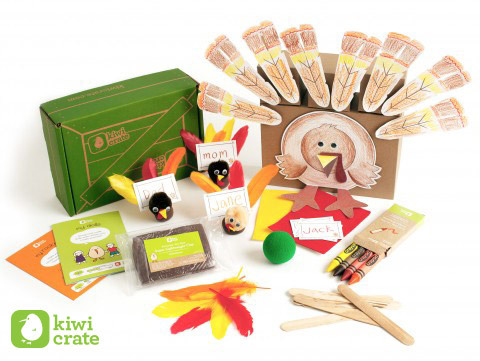 KIWI CRATE – They will deliver a box to your child each month that’s designed around a certain theme (think Dinosaurs, Garden, Superheroes, Space.) In each box are 2-3 carefully designed and kid-tested projects, which cover a range of developmental areas and subjects, including art, science, and imaginative play. All the materials and inspiration to encourage creativity and curiosity are included – you just supply the kids! You simply can’t beat this! You are supplying your children with hours of entertainment each month. Not only that, but your children do not get the same thing from month to month, hence increasing their excitement for their package to arrive. Grandparents, you can order your grandchildren KIWI CRATE as well and have it shipped right to their front door.